It's always a nice surprise to be greeted by Alexey Pajitnov's broad-bearded smile when answering the door. 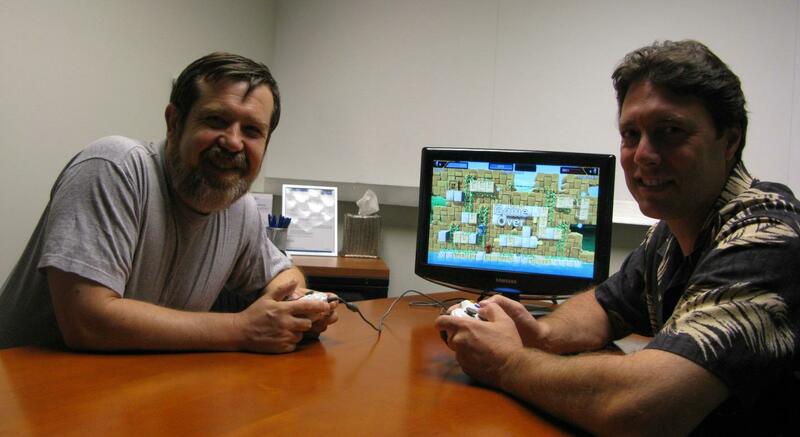 The Tetris creator's love of Lode Runner is no secret and his decade's long friendship with Scott and Sheila are grounds enough for him to swing by for some high-flying coop on Lode Runner for XBLA. Alexey and Brett kicking some... oh never mind, that's the Game Over screen. 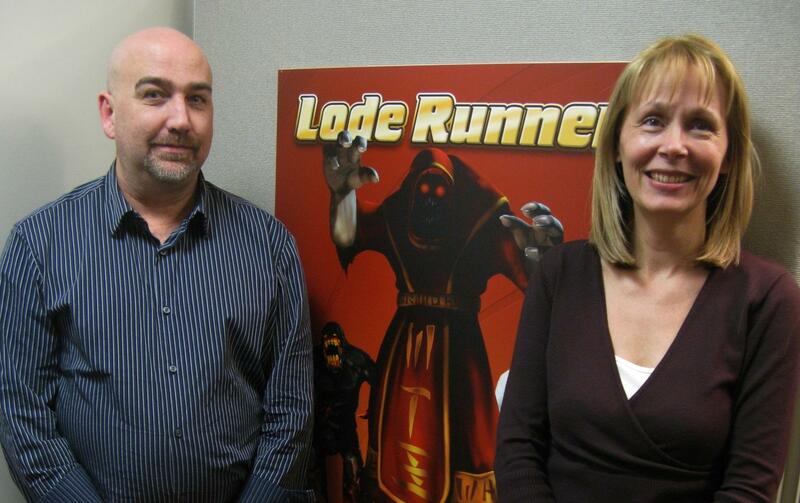 Equally enjoyable was a visit from Doug Smith, the original creator of Lode Runner. After carrying on and reminiscing about the good old days for a while, we got down to business... yep, you guessed it - the frantic yet comical coop mode for Lode Runner XBLA. We then headed out to a sushi bar and refueled! Doug, a Mad Monk and Sheila hamming it up for the cam. 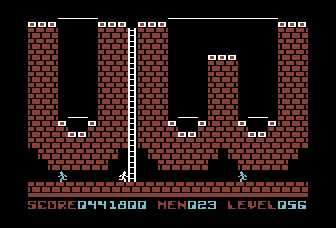 TRIVIA ALERT: Doug created Lode Runner in 1983 while a student at the University of Washington. Tozai's President Sheila Boughten, also a UW alumni, was happy to participate in the University's 150th anniversary this last November. Congratulations Huskies! There's no denying that level 56, pictured in all of its Commodore 64 graphic splendor, looks to have been a tribute to the old alma mater. 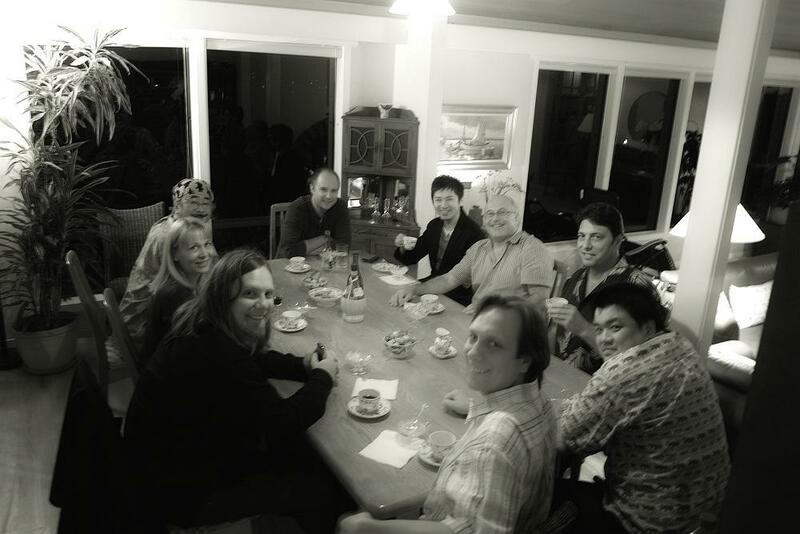 Not to be topped was the fine dinner that Scott and his wife Junko threw for Nobuo Uematsu and his entourage as Nobuo rolled through town during the sold-out tour of the symphonic rendering of his Final Fantasy music. The gathering also celebrated Nobuo's direction of the reimaging of Bach's great works for our nifty little PSP title, Kurulin Fusion. Good friends Jeremy Soule (Elder Scrolls and Guild Wars series composer and doing his best Ozzy impersonation) and his brother Julian also showed up for the near three hour feast. Hmmm...I wonder if there is hope for new Lode Runner theme music after all these years. Take the picture before you fall off the chair, Scott!! 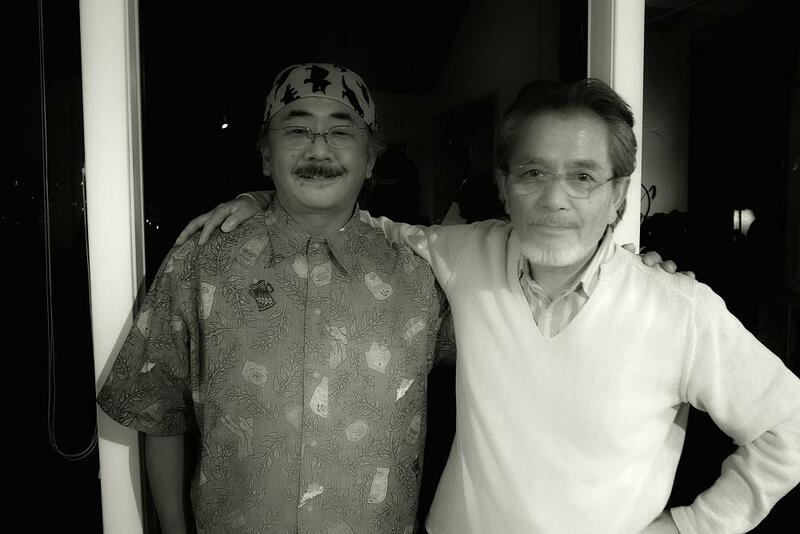 Nobuo and Scott, well-bred and well fed.